When D-Edge opened just after the Millennium, it gave the expansive Brazilian city of São Paulo — and indeed the whole country — a welcome injection of a futuristic club vision. Adorned with LED panels everywhere, it quickly became a must-visit for touring international underground house and techno DJs (as well as helping incubate the thriving homegrown Brazilian scene), and as the building has expanded in recent years to accommodate additional space, it has remained so. 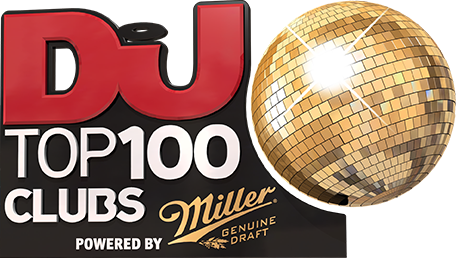 The brainchild of DJ/producer Renato Ratier, it remains one of Brazil’s most significant and much-loved clubs — as its jump up the Top 100 Clubs rankings this year again demonstrates. A 20 Years Of Fabric party happening this month — with Craig Richards and Ben UFO — gives you an idea of the esteem in which the club is still held. Or if you’re still not convinced, 2018’s roll call reads like a who’s who of top talent: regular parties include Mothership (bringing over the likes of Roman Poncet, I Hate Models and Jonas Kopp), Moving (Len Faki, Floyd Lavine, Priku), Freak Chic (&Me, Roland Leesker, Traumer) and the occasional night hosted by local drum & bass legend DJ Marky.